Lengthen and thicken your natural lashes with the addition of individually applied single lashes. Each artificial lash is placed upon each natural lash. A full set of up to 100 lashes can be placed for maximum effect, or for special occasion’s lashes can be placed only on the outer most edges of the eyes, to enhance shape and definition. Maintenance is recommended approximately every 10 to 14 days. 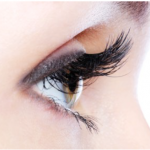 The length of time needed depends upon the growth rate of the natural lashes and how long is left between treatments.